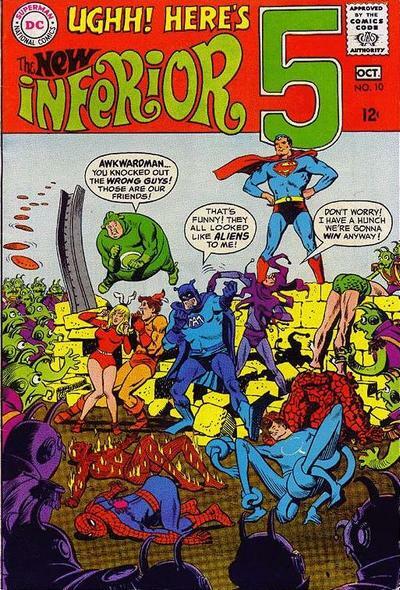 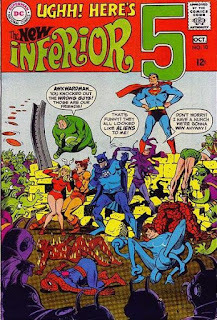 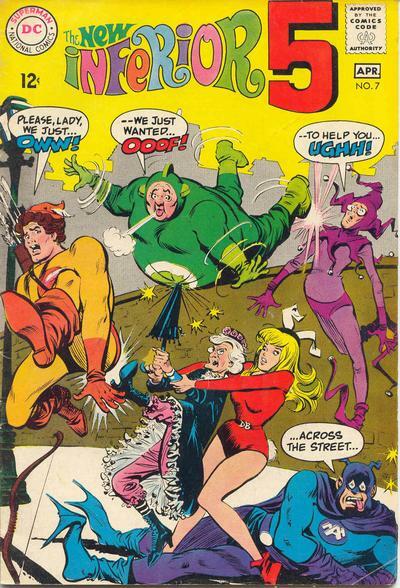 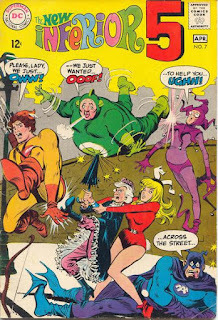 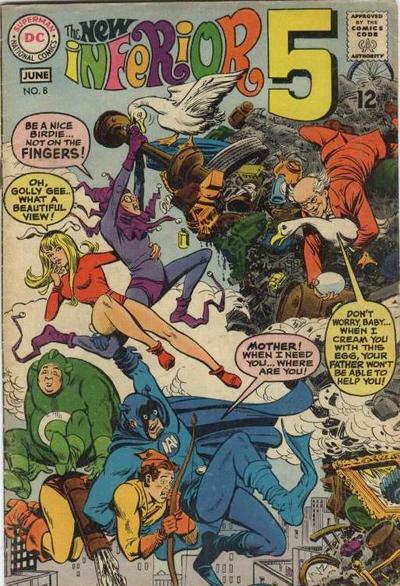 This series features a team of incompetent second generation superheroes. 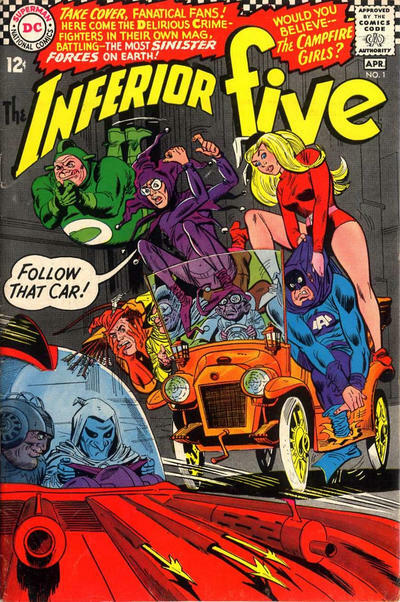 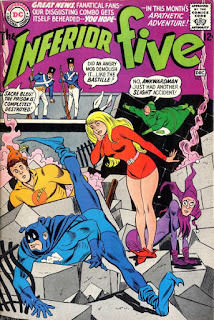 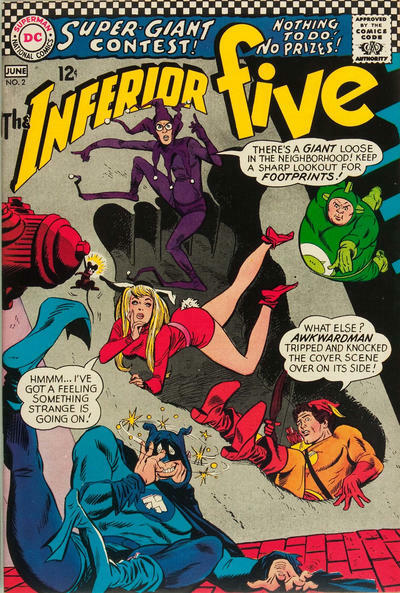 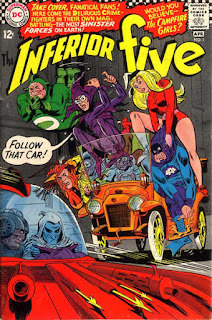 Parodies of various CU characters appear, including Reed Victor, the Yellowjacket, and his chauffeur Plato (Britt Reid, the Green Hornet, and Kato); Caesar Single and Kwitcha Belliakin of C.O.U.S.I.N.F.R.E.D. 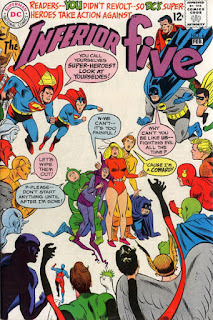 (Napoleon Solo and Illya Kuryakin of U.N.C.L.E. 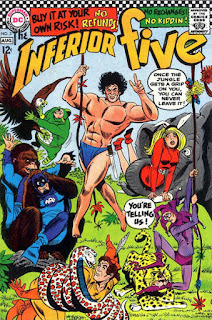 ); John Claypool, Lord Gravestone, aka Darwin of the Apes (the jungle lord); Sir Chauncey Berkeley, the Crimson Chrysanthemum (Sir Percy Blakeney, the Scarlet Pimpernel); and Allergy Queen (Ellery Queen). 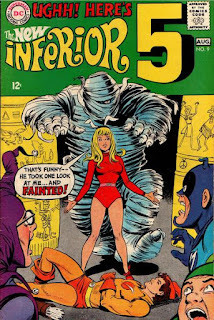 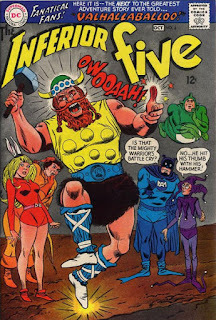 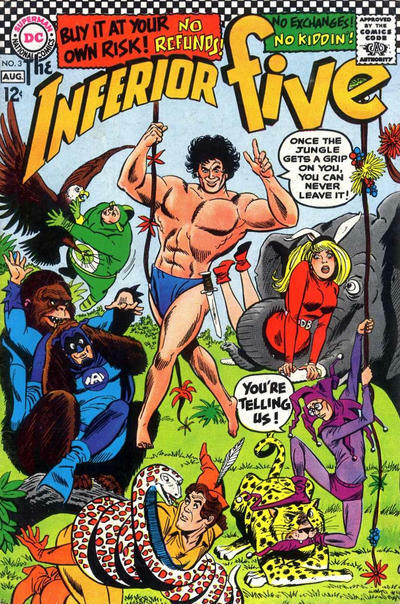 Parodies of several Marvel heroes also appear. 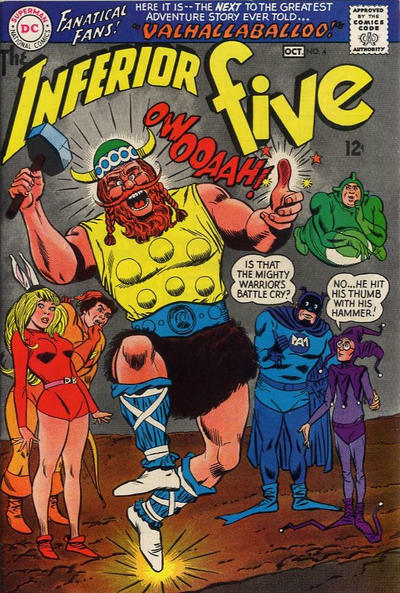 While Dennis E. Power did a Wold Newton article regarding this series, for CU purposes, I consider it an AU. 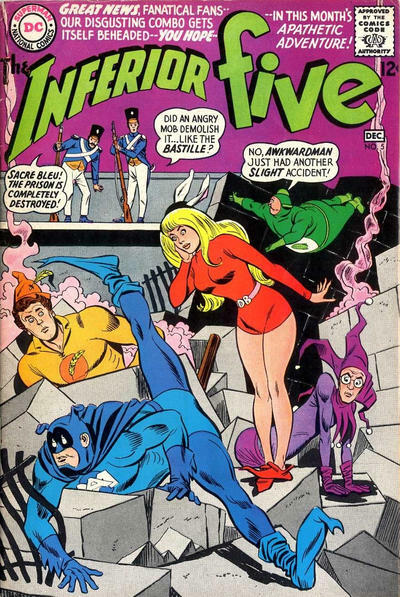 Labels: Alternate Universe, Crossover Covers, DC Comics, Ellery Queen, Scarlet Pimpernel, The Green Hornet, The Man from U.N.C.L.E.